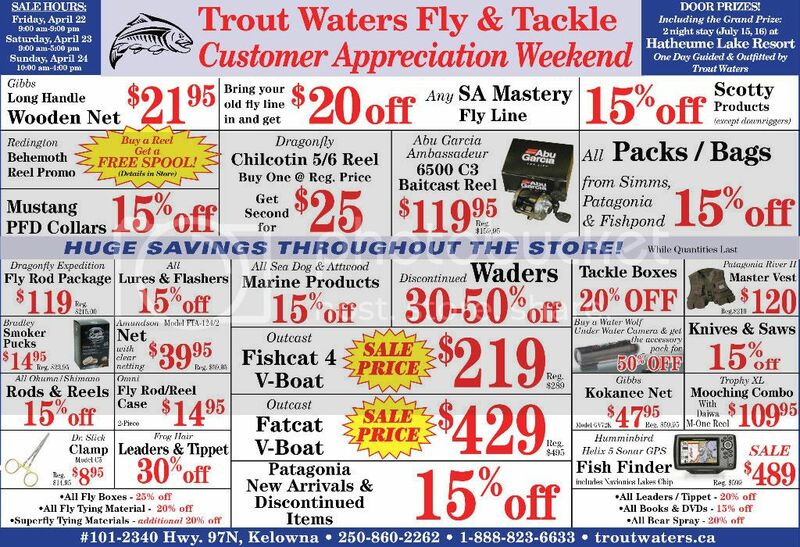 Trout Waters Fly and Tackle in Kelowna is hosting its annual customer appreciation weekend on April 22nd to 24th. Saturday, April 23rd: 9:00 am - 5:00 pm. Sunday, April 24th: 10:00 am - 3:00 pm. This is Trout Waters biggest Sale of the year! There are many more specials throughout the store . Local artists and photographers will be showcasing their work.